Bio: Bill Hosner was born in 1950 in Detroit, Michigan. He earned his BFA at Wayne State University and studied illustration at the Center for Creative Studies, College of Art and Design in Detroit. For 17 years Bill produced illustrations for companies such as Readers Digest, Field and Stream Magazine, CBS-Fox Video and The Kennedy Center for the Performing Arts. 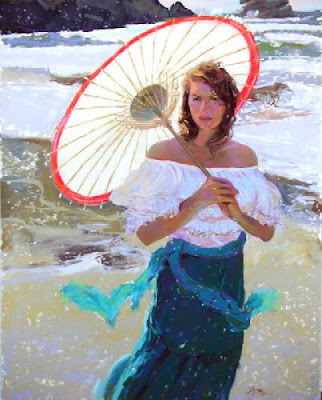 At the peak of a highly successful career in commercial art, Bill launched himself into the demanding sphere of fine art painting, To further hone his artistic abilities, he enrolled in the Scottsdale Artists School in Arizona, where he studied under Harley Brown and Daniel Gerhartz. Bill is a Signature Member of the Pastel Society of America and the Pastel Society of the West Coast. He has received the Gold Medallion and been inducted in to the Master's Circle of the International Association of Pastel Societies. His work is represented in the book, Pure Color: The Best of Pastel. Bill has won numerous awards for his paintings, including the Jack Richeson Award in memory of Flora B. Giffuni - First Prize, 2010, For Pastels Only, hosted by the Pastel Society of America, New York, NY; the Best of Show, 2009, Pastels USA, at the Triton Museum hosted by Pastel Society of the West Coast, Santa Clara, CA; the Grand Prize, First Place Figure and Still Life in the Pastel 100 Competition sponsored by The Pastel Journal; and the Prix de Sennelier - Top Prize, 2009, Salon International du Pastel, hosted by Art du Pastel en France, Giverny, France. Bill will be the Invité d’Honneur at the Salon International du Pastel which takes place at Giverny, (think Monet) France from 25th May to 2nd June, 2011. Bill Hosner’s work was included in The Pastel Journal February 2010 issue in an article about painting winter scenes. 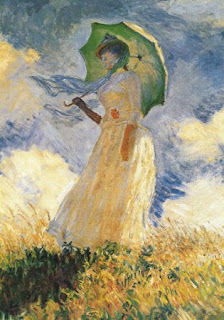 Bill was the cover artist of the February 2008 issue no 54, where his two pieces that won at Giverny 2009, Her face to the wind, and Dreaming, were featured in an article on Bill’s plein air figurative work. 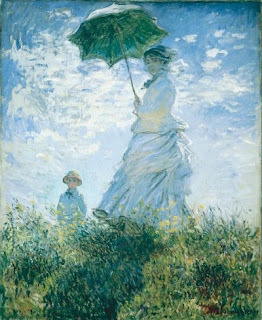 Just by coincidence I was reading an illustrated biography of Claude Monet at the same time as I was looking at Bill’s work, and some pieces by the inventor of impressonism are very remniscent of Bill’s plein air figures – paintings of his wife Camille (and his son) with a parasol (1875); and the two portraits of Monet’s step-daughter, Suzanne Hoschede, also with a parasol (1886) – although, unlike Bill, Monet seemed more interested in depicting the play of light and shade than in the features of his models. Subjects: Landscape; Figurative – all en plein air. Navigation: Menu remains at bottom of page. Gallery: Collection; Available. See also the Café Society page. Image View: Each gallery consists of a pages of thumbnails with relevant information attached. Click to enlarge – and continue to view enlargements in a slideshow if you wish. These may be saved. Victoria is 20 x 26 ins, 403 x 500, 39 KB. Blog/Demo: No, but Bill has published a DVD on painting the figure en plein air.